This weekend is a big one! 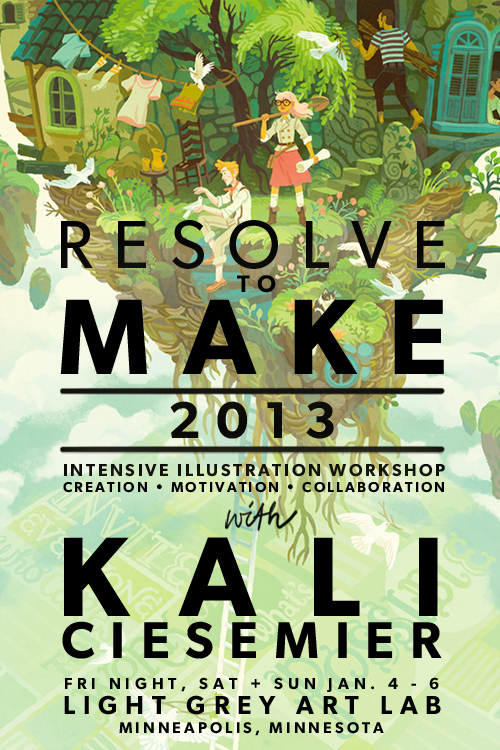 We have the wonderfully talented Kali Ciesemier in town to host a weekend long, super intensive workshop! It's going to be amazing! We announced it a while back and it quickly sold out (sorry if I got your hopes up) but watch for updates and a recap of the event, and stay-tuned for similar workshops coming later this year! If you do want to take some part in the festivities this weekend, come to our All Creatives Meet & Greet on Saturday! We'll be at Cafeteria from 7 PM to 9:30 PM! I wanted let everyone know this event was going on in the gallery this weekend, so we won't have any gallery hours this Saturday! Sorry! But, we'll make up for it by being open ALL next weekend with our Fundraising Sale!